The Palm Springs area has always held special memories for me. I have very fond recollections from the time I was a young girl taking annual trips with my family; driving down with a car full of friends for Spring break; to eventually evolving into a more mature girl’s spa-weekend getaway. All extremely good times. At some point though, the luster of Palm Springs diminished for me. The resorts felt a little “tired” to me and none of the them were really appealing enough for me to make the effort to head back. However, over the past years there has been a resurgence in the area that has sparked my interest. One of the major trends that has been happening is the development of mid-century modern design in both the homes and resorts in this area. This funky, retro-hip feel has sparked new life into this region. Resorts such as the Riviera, Viceroy, and the Parker are a few examples of the swanky places that are a great representation of this mid-century modern revival. As exciting as it is to see this new energy come to town, I am also a lover of classic luxury…enter The Ritz-Carlton. 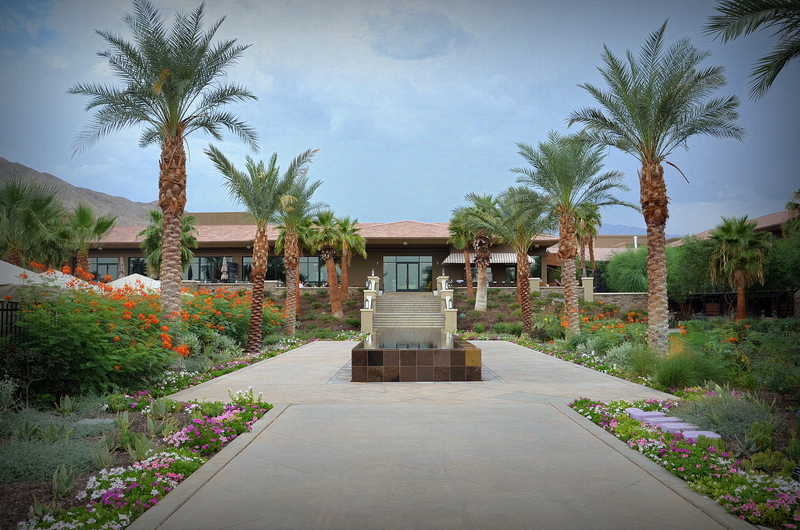 This property has an interesting history in that the Ritz-Carlton made its original debut in 1988 and operated as a top-notch luxury resort until the downfall of the economy in 2001 when it closed it doors due to bankruptcy and was eventually reopened and operated as the Lodge at Rancho Mirage. In 2008, the Lodge closed its doors and the property lay dormant until the Rtiz-Carlton swept in again reclaiming their property and began a multi-million dollar renovation process. The renovated property opened its doors in May 2014 to rave reviews. Since the time I used to frequent this area, this region has grown significantly with new resorts, homes and shopping centers scattered throughout the surrounding cities from downtown Palm Springs to Indio. The Ritz has a convenient central location in the middle of all these surrounding cities with easy access to downtown Palm Springs, as well as to the resorts, golf courses and restaurants located near Indian Wells. This property also has the unique distinction of being the only resort with the coveted location of being set on a cliffside, with views of the entire Coachella Valley. You will not find this at any other resort in this in this area. The resort has a contemporary look and yet feels warm and inviting with the incorporation of the desert surroundings which are reflected in the elements of rich wood tones, warm colors and stone accents. The lobby is welcoming with a cozy sitting area in front of a large, stone fireplace. Hearty succulents, colorful plantings and palm trees surround the property creating a beautiful landscape that feels indigenous to the area. This property offers 244 guest rooms ranging from Resort view, Mountain view, Valley view, Terrace Fire Pits and Suites. The interior of all the regular guest rooms have the same square footage, decor and style. 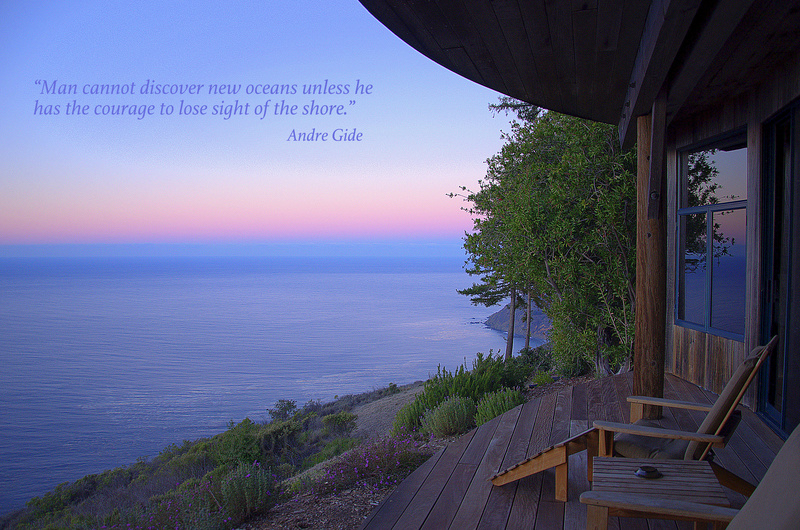 The only difference being is where they are located and the view they offer. The Asian-inspired bathrooms are large and luxurious offering oversized bathtubs and separate showers. The Suites are double the size of the guest rooms and offer a separate living area along with very spacious bathrooms with rain-head showers and separate soaking tubs. Two Presidential Suites offer 1,700 sq. ft. with a large living room and separate bedroom. These suites can be connected to an additional room to create a two-bedroom unit. The property is laid out in two wings with the buildings of each wing in a “U” shape. The Spring wing consists of some rooms, the State Fare Bar & Kitchen along with the Air Pool (main pool) and the Mirage wing consists entirely of guest rooms overlooking a large, lawned courtyard with the adult pool located on this side. I point this out because the rooms on the sides of the wings, looking into the center of the resort, are aptly called the Resort view rooms with the first floor units having fire pits which make those the Terrace Fire Pit room category. The Mountain view rooms are mainly located on the outside sections of both wings facing outwards and the Valley view rooms are located at the center of the Mirage wing looking out over the lawned courtyard with the majority of Suites being located at the very ends of each wing with panoramic valley views (some Suites are mountain views). I stayed in a one-bedroom executive suite (#1142) which put me at the tip of the Spring Wing with a panoramic view of the valley. It’s an expansive view by day and a gorgeous view of the city lights by night. I found it to be an ideal room and location. If staying in one of the suites is not an option for you, I would consider one of the Mountain view rooms located closest to the ends of the building because these rooms will offer a peaceful mountain view and some of them will have a bit of the valley view as well. My next choice would be a Valley view room located on the third floor and in the center of the Mirage Wing overlooking the lawned courtyard facing the Coachella Valley. The Terrace Fire Pit rooms are fun if you want to sit out and enjoy the activities going on around the resort as they are not very private since they are positioned a little further out from the room and begin to encroach the public space. The fire pits are lit each night and create a warm, glowing ambiance around the property. All rooms have coffee makers and a limited mini/snack bar (at cost). At the time of my visit (July 2014), the resort was still working on a wing of rooms that I believe will be considered their Spa room category (as they are located closest to the spa) scheduled to be open in October 2014. These are small residential style units which include a full kitchen, along with a living/dining room and separate bedroom. This should be a great option for families and/or extended stays. Also scheduled to open in October is the Ritz-Carlton Club Lounge offering beverages and culinary cuisine throughout the day along with the ultimate in personalized service. In my opinion, one of the best aspects of this property is the spa. 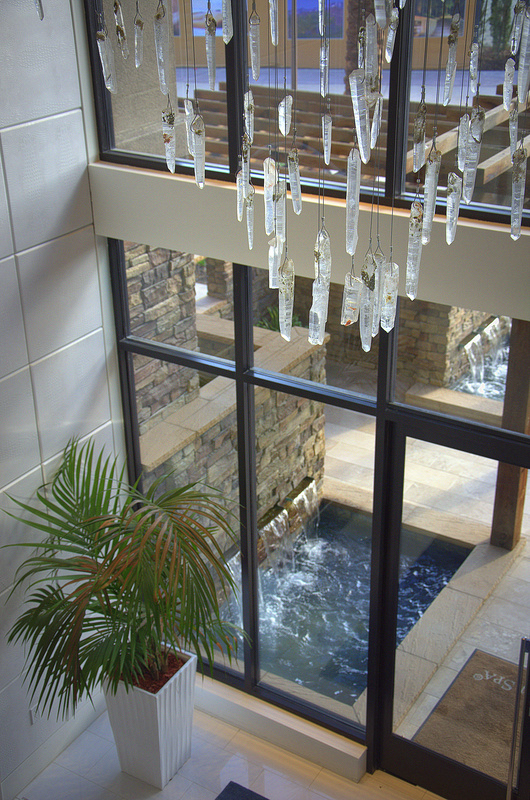 The spa is a beautifully designed building with a very luxurious feel as you enter into a two-story open lobby with a dripping crystal chandelier and a soothing white-on-white color palette. There are 15 treatment rooms, many with private terraces and outdoor showers along with an outdoor relaxation lounge offering refreshing plunge pools. 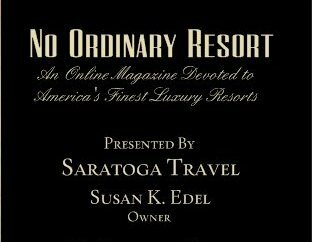 My one disappointment is that the spa facility is not available to guests unless they are getting a treatment or pay a day use fee. I find it much more amiable when staying at a luxury property, and paying a resort fee, that the resort facilities ~ including the spa ~ are available to guests for their use. The fitness center is available for use to all guests. There are three pools and one separate hot tub on property, the Air Pool which is the resort’s main pool, the adult only pool with a nice view of the valley and a kid’s pool. The resort offers several dining choices. 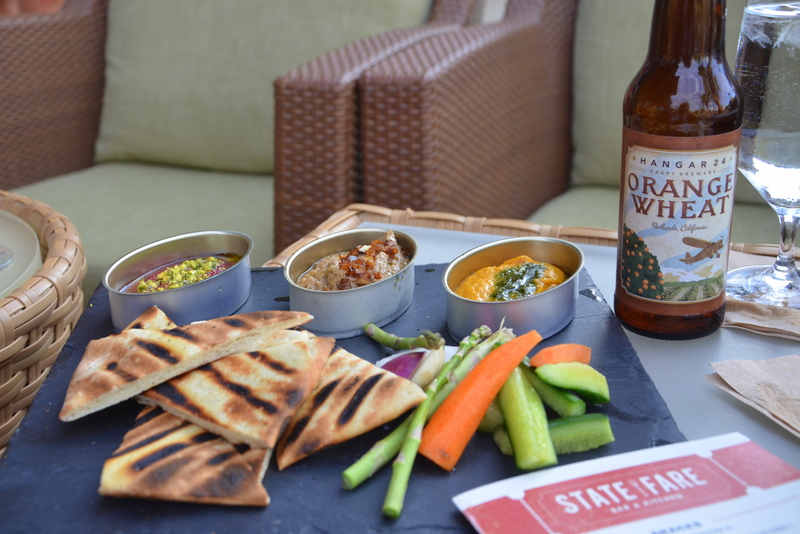 The State Fare Bar & Kitchen serves breakfast, lunch and dinner with casual indoor and outdoor dining offering seasonal menus and signature dishes featuring local harvest ingredients. The restaurant features a Chef’s display kitchen and an Experiential Chefs’ Market Table, presenting the ultimate in pairing wines and culinary delights. On one evening, I chose a casual option and ordered dinner from the bar’s menu at the outdoor patio. It was quite pleasant. The Edge is an upscale steakhouse serving prime dry-aged bone-in steaks and fresh seafood, seasonal sides and sauces, unique cheeses and the finest selection of wines. The restaurant sits at the edge of the cliff and offers stunning views of the Coachella Valley and serves lunch and dinner. Asian inspired meals including sushi al fresco and poolside libations can be found at the Air Pool Bar for lunch daily. Morning Hikes: The resort offers daily morning walks around the property. Ritz Kids: The on-site Ritz Kids program offers many creative activities to keep your children intrigued and actively busy while you pursue your interests. The Living Desert and Botanical Gardens: Visit the Living Desert Zoo and Gardens while supporting the their mission of desert conservation. Palm Springs Aerial Tramway: Aboard the Palm Springs Aerial Tramway, World’s Largest Rotating Tramcar, you will experience a breathtaking journey up the sheer cliffs of Chino Canyon. Golf: A golf concierge is available to help you arrange an outing at one of the many golf courses offered around the Palm Springs area. Indian Canyons: Hike through the Indian canyons in the area and learn the history of the Agua Caliente Cahuilla (pronounced Kaw-we-ah) Indians. Hot Air Balloons: View the amazing desert from a bird’s eye view in a hot air balloon. Jeep Tours: Explore the desert on a jeep tour. Shop El Paseo: Known as the Rodeo Drive of Palm Desert, the El Paseo Shopping District features over 300 world-class shops, clothing boutiques, art galleries, jewelers, restaurants. I found the staff very friendly and engaging which helped to create a personal atmosphere being this is a “brand” hotel. The resort is clean and pristine and offers all that you would expect from a luxury property. Because the resort is still so new, there are a few things that are still being refined. One aspect that caught me a little off guard, was a “billboard” type wall near the entrance of the resort that has been installed to hide some of the on-going construction. It is only temporary and will be removed after construction is complete but I felt it could have been a little less conspicuous. This resort is located in a good central location in between Palm Springs and Indian Wells, and is the only resort that sits on a bluff and offers valley views. In my opinion, the property is by far the most luxurious in this area. And as with all Ritz brand hotels, you can count on a standard of excellence that offers guests a true luxury experience.